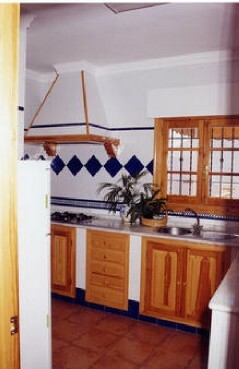 Apartment for rent in costa de la luz located in Chipiona. Sleeps up to 6 people. 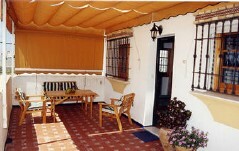 Holiday rental in Chipiona. Enjoy the sun and the beaches of Chipiona. 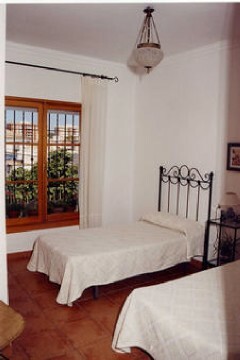 Renting a holiday Apartment in Costa de la luz. 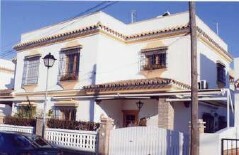 Independent house in first plant from villa to 250 metres of Regla Beach, in very calm zone, with ample terrace deprived with awning and garden furniture. It is Totally equipped. 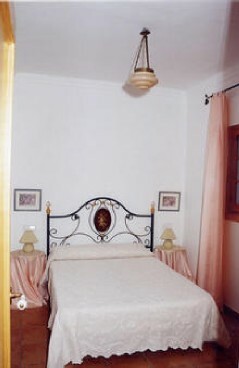 With capacity for 4 people or 6 if the sofa-bed of the hall is used. The house, semi-detached house, is located within the urban helmet in a very calm zone of low constructions. To the Regla Beach, it is walked in 4 or 5 minutes; and to the population centre, in about 15 minutes, also walking. In a radius of 100 metres of the house there is supermarket, stores, bars and restaurants. Chipiona, it is located city in La Costa de la Luz (The Coast of Light), northwest coast of the province of Cádiz, to few kilometres of the Guadalquivir River, between the populations of Sanlucar de Barrameda (8 Km) and Rota (14 Km). Its population it is of 18.000 inhabitants. It has about 12 kilometres of fine and blond sand beaches. Every year, the beaches of Regla and Cruz del Mar, are awarded with Blue Flag of the Clean Seas of Europe. Around this tower one went seating the populatións that was accupied by arabs, romans and visigodos and later by castilian kings and noblemans. It is in century XIX, when Chipiona begins to become the favorite place of the aristocracy andalusian, mainly sevillian, in order to spend its vacations. DISTANCES: To Cádiz 52 Km. ; to Sevilla 105 Km., to Jerez de la Frontera 27 Km. ; to El Puerto de Santa María 25 Km. ; to Gibraltar, 150 Km. NEXT AIRPORTS: Jerez de la Frontera, 34 Km; Sevilla, 105: Málaga, 260; and next few months, Gibraltar to 150 Km. NEXT RAILWAYS: Jerez de la Frontera and El Puerto de Santa María, 25 Km; and Sevilla (High Speed) to 105 Km. 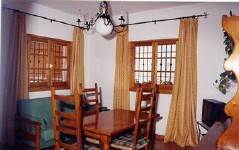 June Prices are between 280 euros at low season and 850 euros at high season.